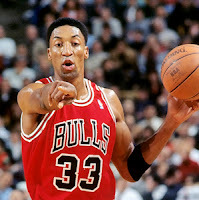 The Midnight Freemasons: Scottie Pippen and the "Illuminati's Favorite Number"
Scottie Pippen and the "Illuminati's Favorite Number"
Most people, even non-basketball fans, remember NBA standout Scottie Pippen and his instrumental role, along with Michael Jordan, in leading the Chicago Bulls to six National Basketball Association titles. In addition to the 6 titles (1991-1993 and 1996-1998) Pippen was a seven-time NBA all-star and in 1994, won the All-Star Game's Most Valuable Player award. In 1995, he led the NBA in steals and was named to the NBA 50th Anniversary All-Time Team. After a stellar career, he is one of only four Chicago Bulls players who has had his number retired. And it is that number that has led to a bit of controversy. Scottie Pippen is one of the country's highest profile Prince Hall Masons and his number as a player was 33. This fact has drawn the attention of conspiracy theorists who claim he insisted on that number because of his membership. Thirty-three, after all, is "the Illuminati's favorite number." Over the years conspiracy groups have speculated that Brother Pippen's membership has been behind some of the things he has done. Most recently, Pippen suggested LeBron James, who is not a Freemason, might be the greatest NBA player ever. Accusations claimed he did this because James had flashed "Masonic signs" prior to one of the playoff games when he made hand gestures, not resembling anything Masonic, after the playing of the National Anthem. 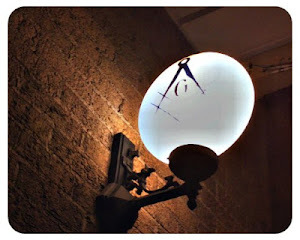 The simple fact is Brother Pippin's number has nothing to do with the fact he is a Freemason. He also wore the number 33 in college, before he ever joined the fraternity. The highest degree one can get is third degree as Master Mason. 33 degree is for one who joins Scottish Rites achieving level 33. But before one can join Scottish Rite he must first be a Master Mason.